Like most things in law, what law applies to your case depends on what state you’re in. Do the divorce laws in Georgia favor a particular parent? How long do you have to be separated to get a divorce in Georgia? Do the divorce laws in Georgia have a “no-fault” divorce? What if I was cheated on? And probably many more questions. So, let’s get to it! Georgia divorce laws on property division follow the equitable division rule. There are only 9 states that don’t follow the equitable division rule. The equitable division says all marital property acquired during the marriage is subject to division. (But if you had the property before the marriage, it’s probably safe from division). This does not mean all your property is simply split down the middle, though! But knowing what property is subject to division can be difficult. any real or personal property, assets, and income acquired by the spouses during the course of the marriage. And it doesn’t matter how it was titled. So just because the house is in her name doesn’t mean it’s automatically hers! Basically, any property that was purchased/earned during the marriage is considered marital property. These are considered separate property. But sometimes the court will find a way to give some of that property to your ex-spouse. Sometimes, the appreciation of your separate property is considered marital property if the appreciation happened during the marriage and that appreciation was caused by the efforts of your ex-spouse. But sometimes property doesn’t fit neatly into one of these categories. Life can never be that simple! Let’s say that you have a house that was partly paid for by marital funds AND your separate funds. Divorce laws in Georgia will require the judge to determine what percentage is marital and separate property. They’ll then factor this into the monetary award when the property settlement is decreed. Or, they’ll make you sell the property and simply divide the proceeds that way. Divorce laws in Georgia are focused on what is fair and that isn’t always splitting it 50/50! 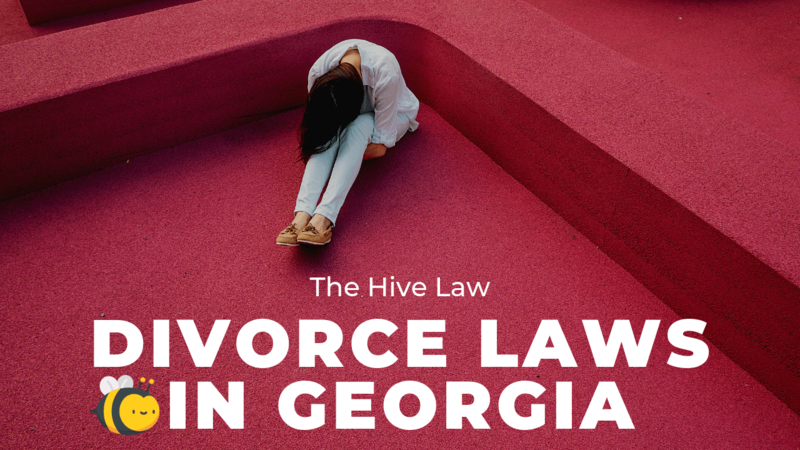 Divorce laws in Georgia do not require that spouses live separately before getting a no-fault divorce. Basically, the only prerequisite of getting a divorce in Georgia is that you’ve lived in the state for at least 6 months and swear that you are separated. “Separate” only means that you are no longer having marital relations. Some states do require you to live separately or cease marital relations for a certain amount of time before filing for divorce, but divorce laws in Georgia don’t! And once you’ve filed for divorce, the court will wait 30 days to give your spouse time to respond. A divorce can be a fairly quick process! It’s actually not an action they can grant! The courts can grant divorces, annulments, and separate maintenance. A separate maintenance order allows the court to rule on the marital issues surrounding the partnership. But this does not grant a divorce. The separate maintenance order just decides all other issues such as property division, custody, or other financial issues/obligations. Sometimes this is a better option for some couples. And if it is, divorce laws in Georgia require that you create a separation agreement. A separation agreement simply confirms that you both recognize your separation from marriage, how you want assets split, and what custody and parenting looks like. It looks a lot like a divorce without the actual termination of the marriage. Do The Divorce Laws In Georgia Have “No-Fault” Divorce? There are 13 different types of divorce in Georgia. One of which is “irretrievably broken” marriage, aka the no-fault divorce. This just means that you don’t have to put a certain party at blame for the divorce. With a no-fault divorce (and in general), you will have to wait 30 days after filing before the courts schedule a trial. The only time this waiting period is waived is when it’s a certain kind of fault-based divorce. Infidelity in your marriage can definitely have an impact on the divorce case. However, proving the cheating can be fairly difficult. Let’s go through some ways that you can prove your spouse was cheating. Usually, you only have circumstantial evidence to help prove their infidelity. This could include charges for a hotel room that you didn’t both stay at. Maybe a receipt for flowers that you never received. Or maybe your phone statement shows a ton of calls to a certain number. Sometimes a spouse will try and hack their spouse’s Facebook account to get screenshots of messages, but this isn’t recommended! If you’re having to break into their personal accounts, this evidence will probably be banned. And instead, your spouse might turn the tables on you for criminal charges. And just because your spouse admits to you that they’ve cheated, this isn’t always enough to prove infidelity. You’ll still need some supporting evidence, unfortunately! But you are able to prove that they were cheating, this can advantage you. If someone is shown to have cheated, they are ineligible for alimony! The judge might also take the cheating into account when equitably dividing the property. This is especially true if the cheating-spouse used marital funds on their lover. The one thing cheating probably won’t impact is child support and custody. Unless your spouse was bringing your minor child into strip clubs or you’re able to show how the cheating makes them “unfit,” they will still be able to have some kind of custody rights. Do I NEED A Divorce Lawyer When Filing For A Divorce? Divorce laws in Georgia do not require you to use a divorce attorney when filing for a divorce. Many people feel like a DIY Divorce is more beneficial for their situation, and that’s totally ok! Couples that haven’t been married for that long, have no children, and little to no major assets probably won’t have as many disputes as the typical divorce. In those circumstances, you probably will save money if you choose to have a DIY Divorce! However, that isn’t typically the norm. On average, a marriage lasts 11 years before divorcing. That’s 11 years of acquiring property, probably buying a house, investing in stocks or 401k. In 11 years, you’ve probably had a child or two. Maybe you’ve become a stay-at-home parent so your spouse could focus on their career. So although divorce laws in Georgia don’t require the use of a divorce lawyer, it’s definitely beneficial in most divorce cases! You can totally file for a divorce on your own. 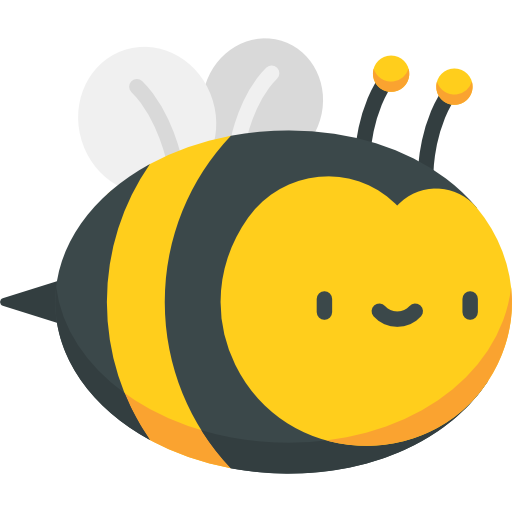 However, if you’re interested in seeing how The Hive Law can help you keep the most property and have a smooth divorce process, fill out the form below (consultations are free). We will reach out and see how we can help.